Although it’s very hard to maintain international borders because of obvious reasons. While some of the borders are boring yet there are some amazing international borders around the world that will take your breath away. The most amazing thing about these international borders is the story behind those lines that divide the countries. The boundaries are spread over thousands of miles, some countries take these borders in a very light way while some borders are guarded by a huge military line-up. Today, we will be talking about the top 10 amazing international borders from around the world. 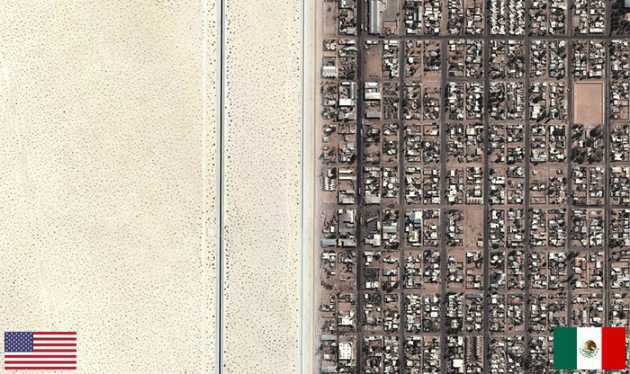 The sight of these borders is so breathtaking that it’s very hard not to notice them. Let’s have a look at these incredible international borders. The rivalry between the two countries India and Pakistan is very well-known. The border line is guarded by the armies of both the nation on their respective side. 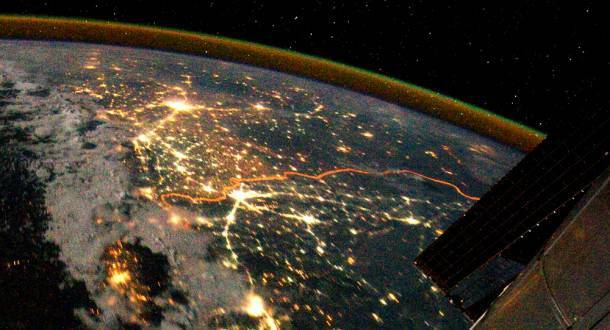 As seen from the space, an illuminated line can be seen dividing the two nations. Although the international border looks beautiful from above but the tension between the two countries doesn’t seem to reduce. The border between Mexico and the United States is probably the most-crossed border with over 400 million illegal crossings in a year. The border is spread over 3000 km in length and it seems likes it is impossible to stop those illegal crossings. The border between Netherlands and the Belgium is undoubtedly one of the top 10 amazing international borders we have ever seen. This is a perfect example of how international borders should be. 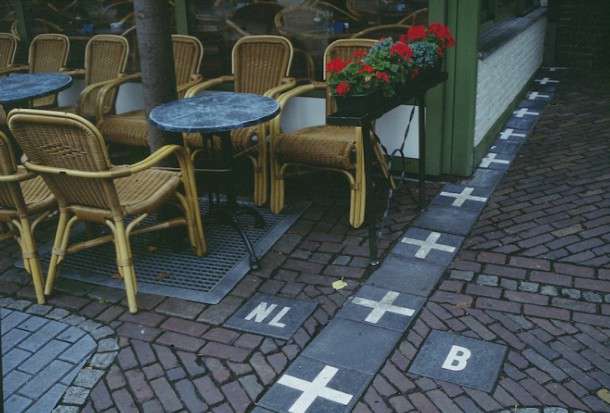 The border is marked with white cross lines and you can walk around the other nation whenever you like it. 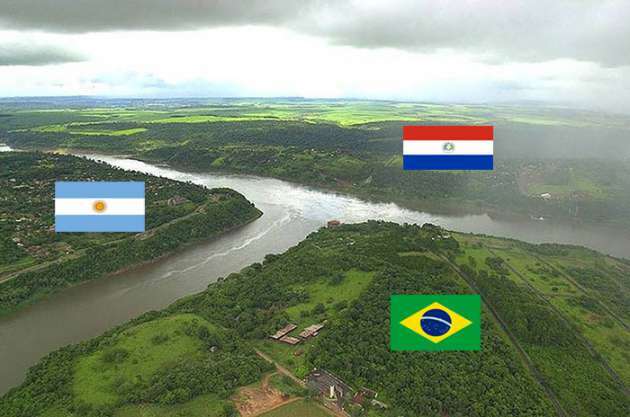 The triple frontier border between the three countries Argentina, Brazil and Paraguay shows how beautiful the borders can be. 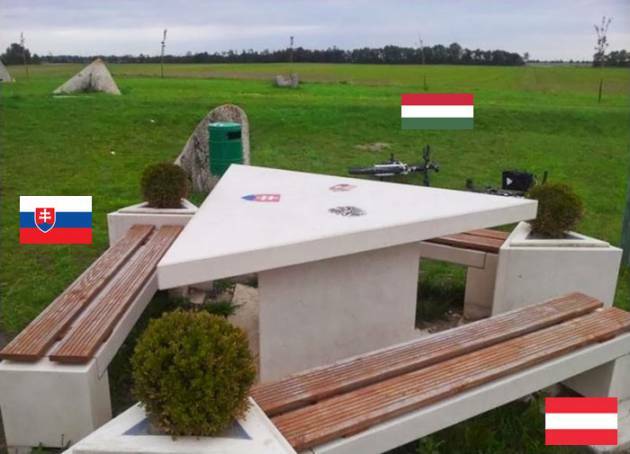 This table clearly tells us the friendship between the three countries and we guess, you can have a sip of tea while meeting your friends from the neighbouring countries. 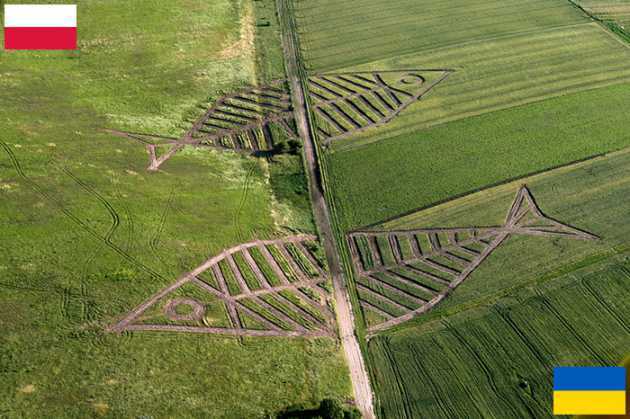 The border between the Poland and Ukraine is decorated with some fish-shaped grass cutting for the annual Land Art Festival. The border is over 500 km in length and is heavily policed as it is one of the biggest smuggling routes into EU. Yet another view of the tri-border area of Paraguay, Argentina, and Brazil which is divided by two rivers. According to the reports, the border area is occupied by the terrorist’s groups for which the three countries have joined hand to carry out operations in the area. 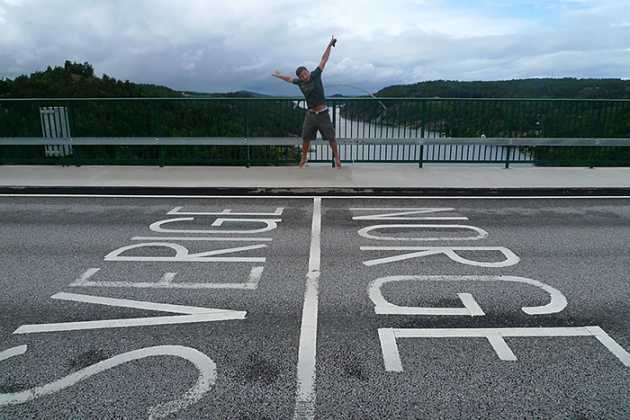 The Norway – Sweden border is one of the most amazing international borders you’ll ever see. It spreads over more than 1600 km and is the longest border of both the countries. There are no immigration controls and hence, anyone can cross the border and go to the neighbouring countries. Yet another view of the same Norway – Sweden border and this time the two countries are divided with a tree-line cut. 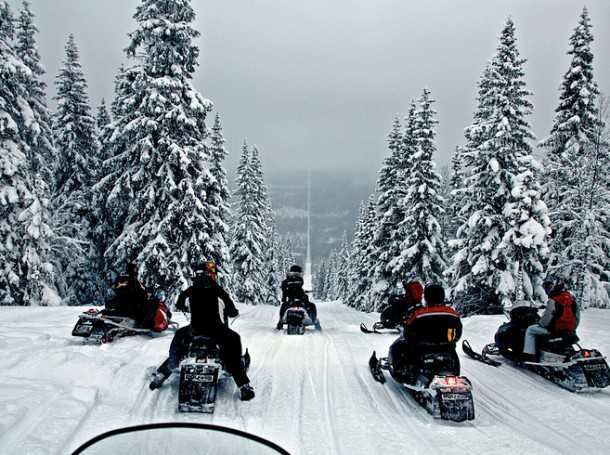 However, the cut can be used to ride a snowmobile in the winter season. The difference between the two countries can be easily seen. 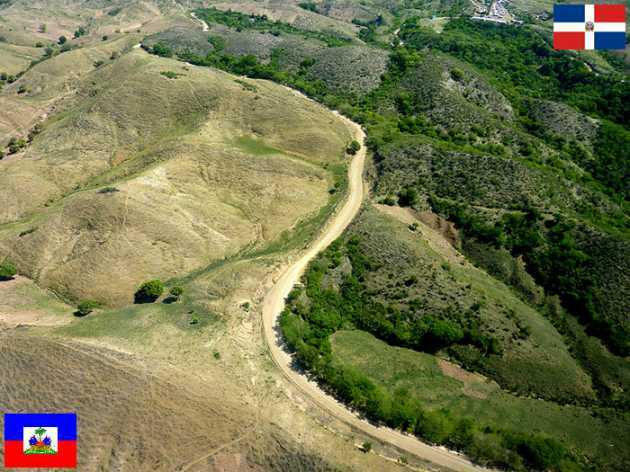 The Haiti and the Dominican Republic have different environmental protection laws and the effect of those laws can be easily seen in the picture above. The former border between the East and the West Germany was a spectacular one. 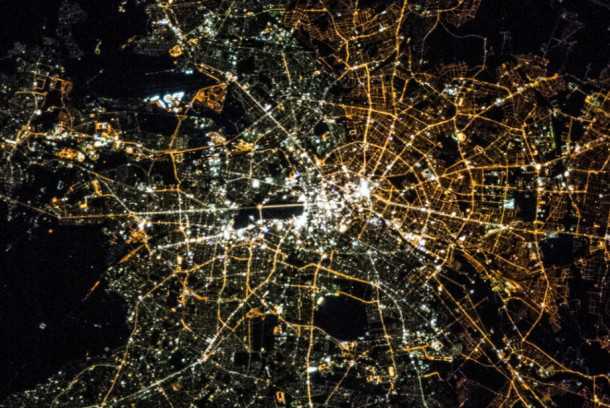 When the partition took place, the East Berlin decided to use the Sodium bulbs while the West Berlin made use of Halide bulbs. Don’t miss: 10 Countries With The Most Beautiful Women. So, which one of these top 10 amazing international borders you liked the most? Do let us know if you have visited the borders of any of these countries.